Early morning is Forest Park. Be sure to check out more Forest Park photos on this blog including some of the fall color photos. Millions of dollars and, more importantly, true dedication to this park in St. Louis has turned this area into the crown jewel of the City of St. Louis. There are unending opportunities for photographer including the beautiful vistas, the architecture and the zoo. 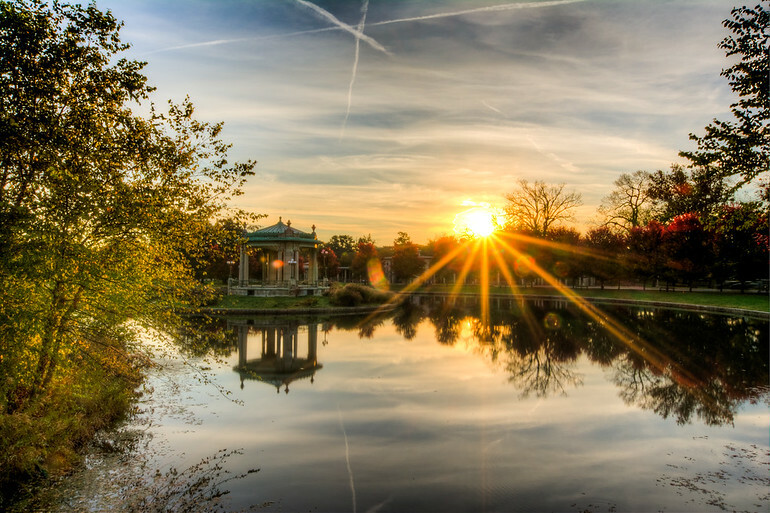 Here we have the sunrise over the Muny Opera pagoda. A high aperture is used to get the starburst effect.